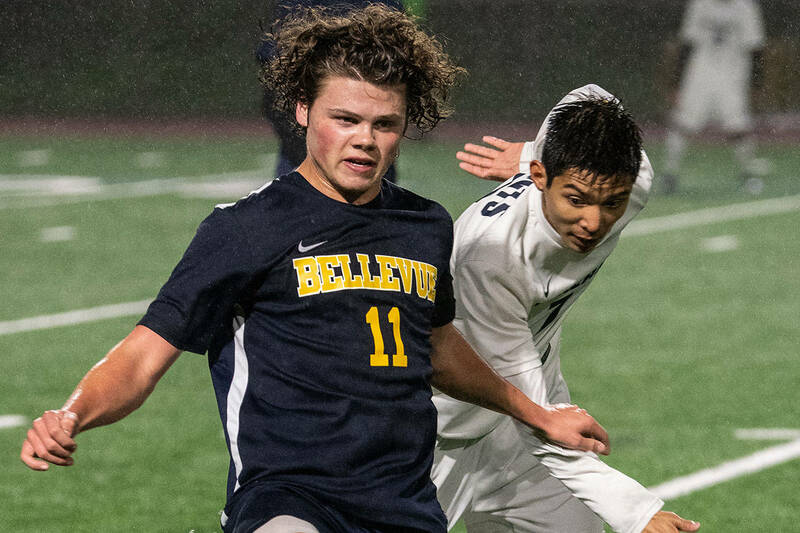 Bellevue captures 14th victory of the 2018 season. The winning streak is still completely intact for the Bellevue Wolverines girls volleyball team. Bellevue won its fifth consecutive match courtesy of a 3-0 (26-24, 25-19, 25-22) victory on senior night against the Lake Washington Kangaroos on Oct. 18 at Bellevue High School. The Wolverines improved their overall record to 14-1 with the win while Lake Washington dropped to 3-11. While it was a sweep on the scoreboard, the match wasn’t a blowout victory by any means. Lake Washington led 5-0 in the first set of play. The Kangaroos also had a 10-6 lead in the third set as well. Bellevue head coach Jamie Tingelstad was proud of her team for not getting rattled despite the deficits. “We get in these holes and then we have to fight back and battle it out at the end. I think it speaks to the progress we’ve made throughout the season with our mental resiliency. It is something we’ve been working on,” Tingelstad said. Wolverines seniors Katie Sorrell and Jenna Keenan connected with timely kills throughout the duration of the match. Wolverines junior Meghan Weber had four aces in the second set. Team depth is a strength for the Wolverines. “It is definitely nice to look down the bench and have a lot of options. We have a lot of different players who can step up every night,” Tingelstad said. Lake Washington head coach Alyssa Flowers was pleased with her team’s performance against the top 3A KingCo volleyball squad. 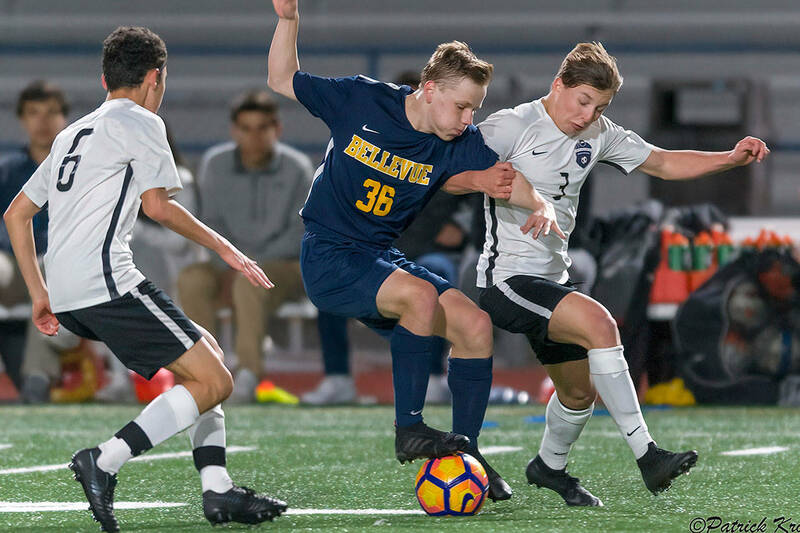 The Wolverines will face the Mercer Island Islanders in their regular season finale on Oct. 25.